The Department of Psychology presents Dr. Toni C. Antonucci from the Institute for Social Research, University of Michigan with her lecture, "Social Relations across the Life Span: the Long and Winding Road." People of all ages have social relations and these vary in both quantity and quality. Social relations follow a long and winding path from childhood through old age, and operate at the individual, family and societal level. Select finding from the Social Relations and Health study, a three wave twenty-three year study, of people aged 8 to 93 at wave 1 will be presented and their implications for policy and practice considered. Date: Friday, Nov. 3, 2017 from 2:30 p.m. to 4 p.m.
Dr. C. Antonucci is the Elizabeth M. Douvan Collegiate Professor of Psychology, Program Director and Research Professor in the Life Course Development Program at the Institute for Social Research, University of Michigan. Her research focuses on social relations and health across the life span, including the family, life span and life course development, multigenerational relations, adult development and aging, and comparative studies of social relations and health in the United States, Europe, the Middle East and Japan. She received a Research Career Development Award and is currently funded or has been funded by the National institute of Mental Health, the National Institute on Aging and several private foundations, including the Fetzer Institute, the MacArthur Foundation and the Templeton Foundation. She completed a MacArthur Foundation funded field experiment designed to bring successful aging interventions to an affordable housing community, is Principal Investigator of a National Institute on Aging study, designed to collect the third wave of longitudinal study of social relations and health across the lifespan and a Templeton Foundation funded study of Humility and Forgiveness in three ethnic groups: White Americans, Middle Eastern Americans and African Americans. 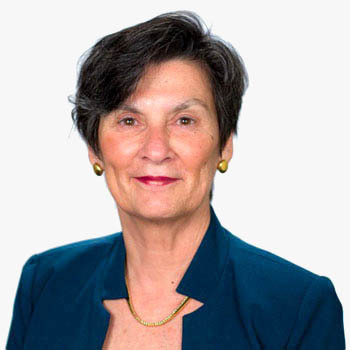 She is past president of the Gerontological Society of America, the Society for the Study of Human Development, Secretary-General of the International Association for Gerontology and Geriatrics and President-elect of International Society for the Study of Behavioural Development. This is Psychology's 14th annual Bruce Hunsberger lecture. Dr. Bruce Hunsberger was a faculty member in the Department of Psychology at WLU from 1974 to 2003, and served as its Chair for many years. He was an influential scholar in the field of psychology of religion, recipient of the William James Award from the American Psychological Association. This ongoing lecture series has been created as an annual event to remember his lifelong commitment to communicating psychological research to a wide audience.